Body color variation has long been a hot research topic in evolutionary and functional biology. Oujiang color common carp (Cyprinus carpio var. color) is a well-known economical and ornamental fish. Three main types of pigments and four distinct color patterns are typical characters of Oujiang color common carp, which makes it an excellent fish model to study body coloration. In this study, skin transcriptome assembly and comparisons were conducted in two Oujiang color common carp varieties: whole red and whole white. Transcriptome comparison revealed that more differentially expressed energy metabolism genes were upregulated in whole white compared to whole red. 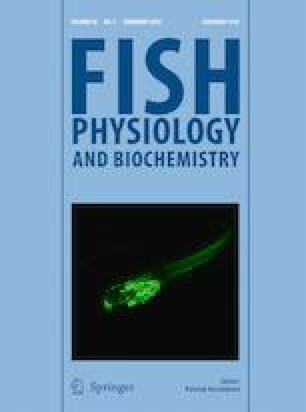 The results indicated that energy metabolism genes might be strongly associated with environmental adaption and growth performance and likely affect the red and white color formation in Oujiang color common carp. Our study provided direct guidance for the aquaculture industrials of Oujiang color common carp and presented valuable genetic resources for body color research in fish. Jinxing Du and Xiaowen Chen contributed equally to this work. The online version of this article ( https://doi.org/10.1007/s10695-018-0551-8) contains supplementary material, which is available to authorized users. We would like to thank the Holland Computing Center (HCC) at the University of Nebraska for computational support and technical assistance. This work was supported by the National Natural Science Foundation of China (31372521, 31772840), Guangxi Innovative Development Project (AA17204095-7), Leading Agricultural Talents in Shanghai Project (D-8004-16-0217), the Shanghai Science and Technology Project (15391900800), and Innovation Project of Shanghai Ocean University Graduate Education (A1-0209-15-0903-2). All experiments in this study were performed under the guidance of ethical regulation from the Institutional Animal Care and Use Committee (IACUS) of Shanghai Ocean University (Shanghai, China). Sequencing reads are available at NCBI SRA database (SRR6853720, SRR6853721).